At Vitality Works, we employ advanced laser technology powered by elōs™ to offer safe, comfortable and non-invasive hair-removal treatments for all customers regardless of skin colour. The technology uses a specialized combination of radio-frequency and intense pulsed light for permanent hair reduction and is approved by Health Canada and FDA. This technology allows laser and heat energy to go deep into the root of hair follicles to deactivate hair growth without damaging and tissue and skin around it. A brief consultation with our friendly staff helps us determine the highest intensity we can use while maintaining your comfort during treatment. Treatments are administered such that most customers can return to their daily life activities immediately after the treatments. 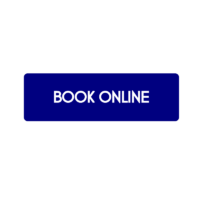 Our friendly staff is trained to accommodate all customers in terms of appointment times. Elōs technology combines energy of bi-polar radio frequency (RF) with both light and diode laser energies to go directly to root of hair filled follicle. Hair-filled follicles lying below the surface of the skin selectively absorb highly controlled flashes of light. The absorbed light heats the hair, which damages or destroys the re-growth potential of the follicle without damaging the tissue and skin surrounding it. The characteristics of the laser pulse are carefully selected based on the patient’s skin tone, hair type and location to ensure comfort, safety while being effective. Everyone’s hair grows differently depending on age, weight, metabolism, hormones, hair thickness, the area treated, medications, ethnicity and other factors. Typically, treatments can range from 6- 9 treatments to get achieve satisfactory results. For optimal long-term benefits treatments are phased to coincide with your hair growth cycle to maximize the percentage of reduction per treatment. After that, touch up treatments might be performed if necessary for any new regrowth. currently undertaken should also be discussed with our staff prior to any treatments. Following the treatment, you can generally return to work and resume all regular activities immediately. 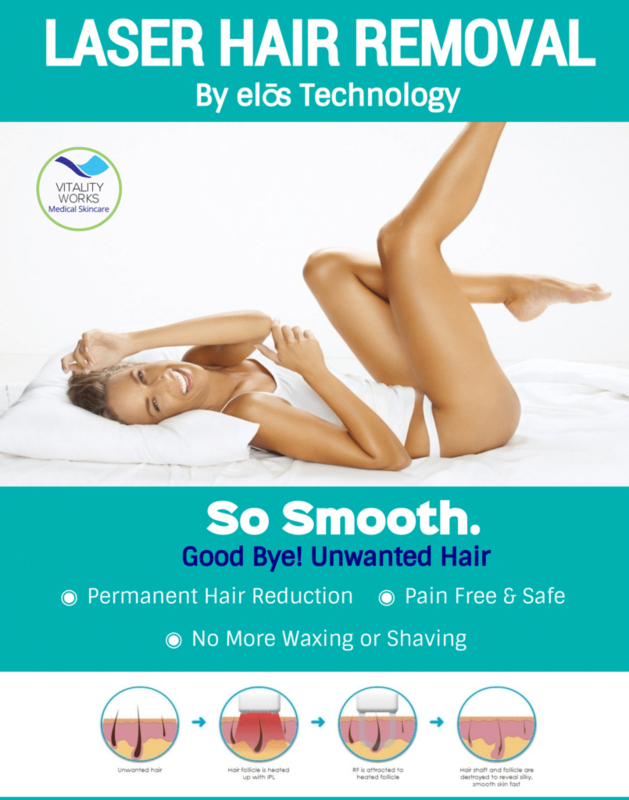 elōs™ technology offers a painless, safe, gentle, non-invasive, and long-lasting solution to unwanted hair on the face, back, legs, bikini line or any other body area. Combining radio frequency with Intensed Pulsed Light, elōs™ technology is the first device in its class approved by FDA for permanent hair reduction, in any skin type. It is effective and safe in treating lighter hair and provides a fast and a gentle treatment that minimizes discomfort. More advanced than lasers, elōs™ technology is the first photoepilation technology proven to treat unwanted hair safely on most skin types. In order to ensure the best outcome, you may be asked about your medical history and skin type in order to estimate the results you should expect from your customized treatment program. This is something you can discuss with of our medical staff during your initial complimentary consultation.